our sidewalk chalk spent some time sitting in water for awhile. 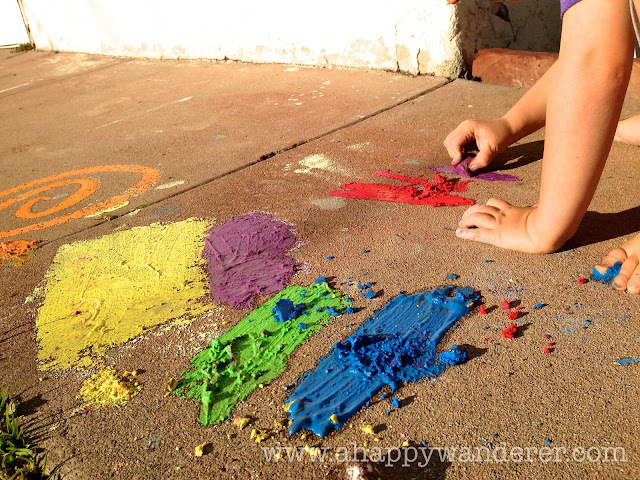 mostly because of the dirt + water + sidewalk chalk + one spoon experiment that took place. it all sat there for a few days, hanging out in a 5 gallon water jug. 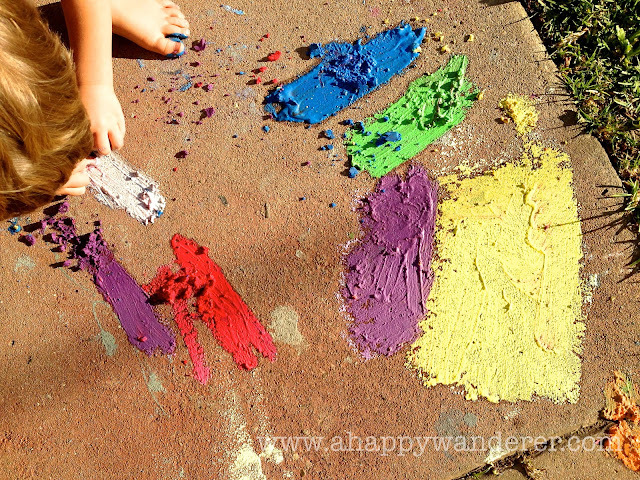 when we got the chalks out to use days later, they were soaked through. we've used sidewalk chalk dipped in water before... which makes them really vibrant and thick. but these were so soaked, that as we used them, they were so soft that they were almost the same consistency as fingerpaints. 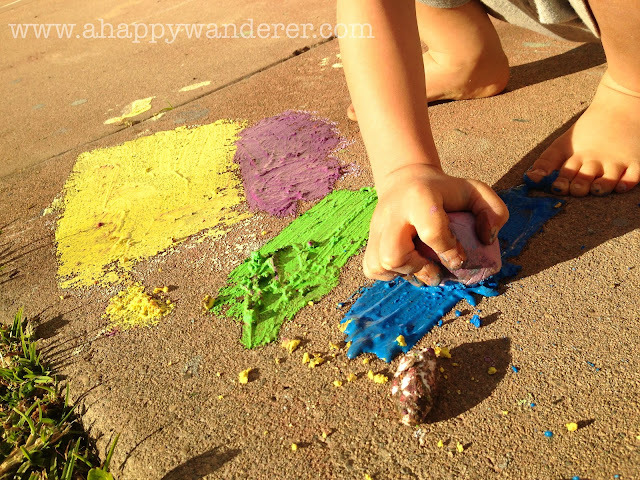 they sort of melted onto the ground, and we smushed them with our fingers... or with rocks... until all that was left was a sidewalk full of color. give it a go. 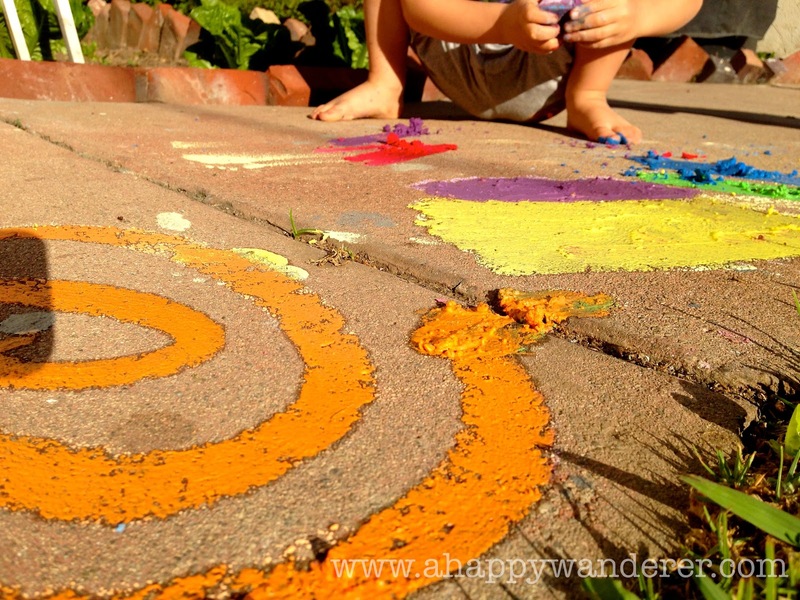 let your sidewalk chalks sit in water at least over night. then paint away! Looks like fun! The colours are so vibrant. It must be fun to try it with the kids.